The following article is part of an ongoing series that will follow Associate Kristina Steven’s research of virtual reality software. We will update periodically on her progress. Virtual reality technology has already begun to make its way into the AEC industry. The idea that a client may someday be able to virtually walk through a design prior to it being built is exciting and slightly mind boggling. We are in awe of our architect friends who are beginning to use this technology; but what about landscape design. Can we make this technology work for us? Kristina Stevens, Associate, has been researching this idea for the past several months. 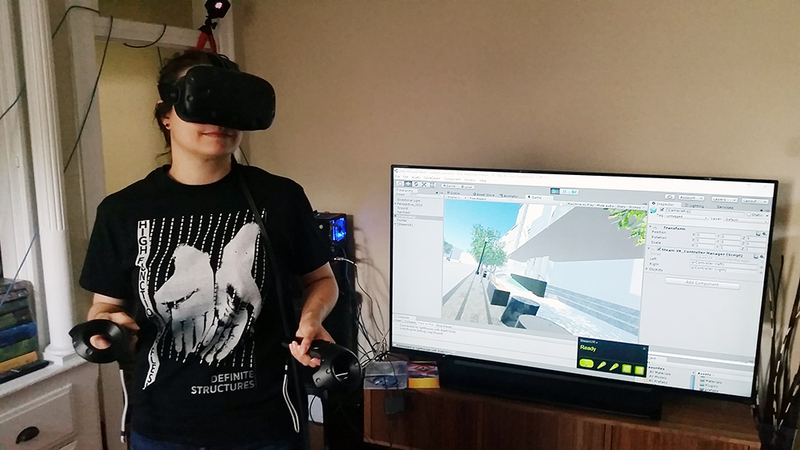 With the ultimate goal of being able to have our collaborators and clients virtually walk through some CRJA-IBI Group projects, Kristina is endeavoring to make the virtual reality technology applicable for landscape architects. By using gaming technology Kristina is working to understand how this technology can extend beyond enclosed interior spaces and allow clients to be able to virtually experience a landscape setting. We will be following her journey in a series of posts. 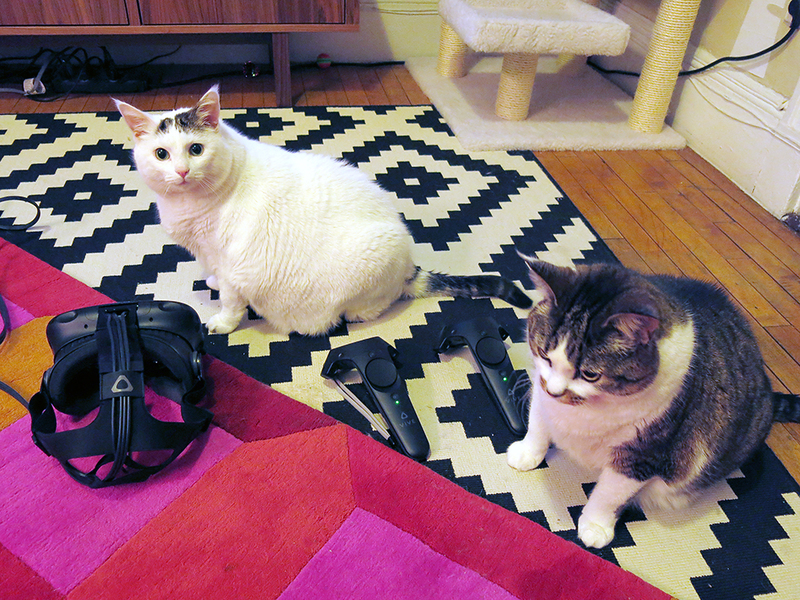 Watch Kristina (and Lulu & Lynx the cats) testing the technology on our 100 Federal Street project in the video she made to demonstrate the capabilities of virtual reality software.